DAS cluster agent comprises of a DAS Webapp and an Event Processor. These components are installed on the Ambari cluster to use with DAS. 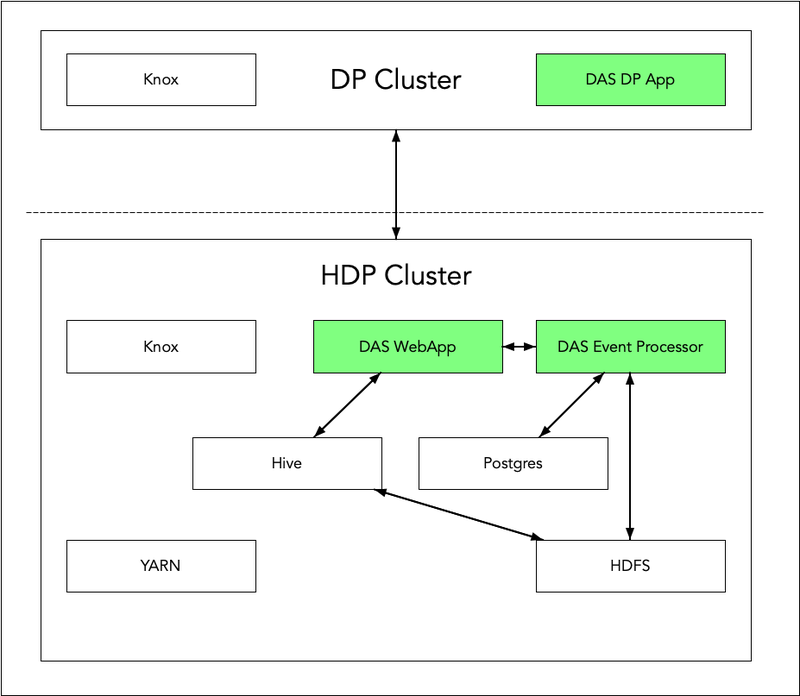 Additionally, you can install the DAS-DP App within the DP environment, and it communicates with the DAS components within the cluster. The DAS Webapp serves the DAS UI, and it should be on a machine that is accessible to your end users, or you should have a proxy setup to access the DAS UI.